I know I’ve read this issue several times over the years. I’d guess this to be at least my 3rd time. And yet, it’s not one that has stuck well in my memory; especially for–as one of THE initial #1s–it NOT having one of those CD Romix-Comix deals. We open with some narration about San Francisco and get a quick glimpse of several people, before their cable car is struck by a bolt of energy. Just before the bolt hits, several work together to throw a guy OFF the car for refusing to cease with the PDA-ing with his (apparent) girlfriend. The bolt of energy hits the car, costing its operator control, and it slams into a passenger vehicle, gravely wounding that driver. Later after the incident, as everyone’s gone their separate ways, we check in on several of the passengers, and see them discovering strange new abilities and experiencing a profound change in the wake of things. When another disturbance occurs, several make their way to the scene, where they band together to drive off a strange woman, and then decide to stick together while they learn about their new powers and life-situation. This is another issue to just SCREAMS "’90s!" to me; from the fonts to coloring to dialogue and character names (well, knowing some of the names, as the characters don’t really adopt them here in this issue). 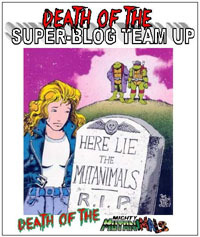 To best of my recollection, this was the FIRST of the Ultraverse books to be available for purchase…though it’s the one I was least looking forward to (re) reading. 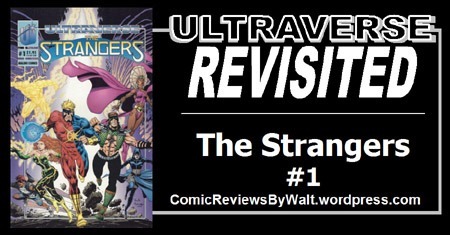 That being said…I actually enjoyed this a fair bit, and am now interested in checking out some subsequent issues. This is one series that from #2-forward will be all-new reads to me, or close enough to it for lack of memories of actually reading them. This issue does a solid job of BEING a first issue. It introduces us to a slice of life in the city, with the characters, shows us their "inciting incident," see them discover their powers, see them band together to face a threat and actually interact with said threat, AND have a reason to stay together past this one encounter, while leaving enough hanging to keep one curious about what comes next. There seems to be some "shorthand" in some interactions and dialogue that I’ll be looking for some quick payoff, as I’m not 100% if memory serves on where they go, and they’re definitely things that never even occurred to me in prior readings of this issue. The repeated use of narration to remind us of San Francisco and the light was effective twice…but hitting it three times in the issue seemed a bit much. It’s still a solid attempt, and gets points from me for "effort" and picking up on what’s being conveyed! I like the art and character designs–the people all seem like real people, there’s no wonky anatomy or strange and obvious "shortcuts" or such, nothing that puts me off or makes me wonder what’s going on and all that. Even though I recognized all the characters, I’m not great on the names and would not be able to pull most out of thin air with any confidence…but their appearance does wonders here, and I imagine once I get a few issues in I’ll be doing a lot better with the names. All in all, this is an issue that I would actually recommend…it’s very much worth the 25 cents or so if you find it in a quarter-bin, and probably even worth 50 cents if one of those bins. 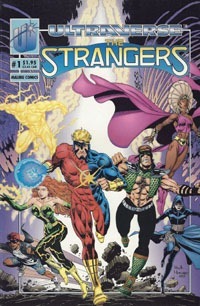 This was such a mass-produced issue, and the Ultraverse such an entity that while this doesn’t really have much financial value, the READING value is strong, and the series didn’t last long enough to really justify jumping in anywhere BUT this first issue…especially now, 25 years after its release!